Here's all the information you need to know about Metro Exodus, including the final release date, gameplay, trailers, and much more. Metro Exodus will be bringing the trilogy from 4A Games to a close later this month in February, rounding out the adventure for Artyom and co. In this guide to everything we know about the sequel so far, we'll be providing you with details on the Metro Exodus release date, all the Metro Exodus gameplay we've spent time with so far, and much more. Previously, Metro Exodus was scheduled to release on February 22, 2019, putting it right up against the likes of Anthem and Crackdown 3. Since the game from Deep Silver wrapped up development just recently in mid December 2018, the release date for Metro Exodus has been moved forward by exactly a week, and it’ll now release worldwide for PC, PS4, and Xbox One on February 15, 2019. Just below, you can see a slice of gameplay for Metro Exodus. As we mentioned previously, we’ll once again be playing the role of Artyom in this sequel, as we did back in Metro 2033 and Metro Last Light. Metro Exodus will take place in 2036, two years after the events of Metro Last Light. It’ll follow on from the ‘Redemption’ ending of the previous game, and will follow Artyom and his wife Anna as they journey to the east over the course of a year, with the promise of a better life waiting for them there. 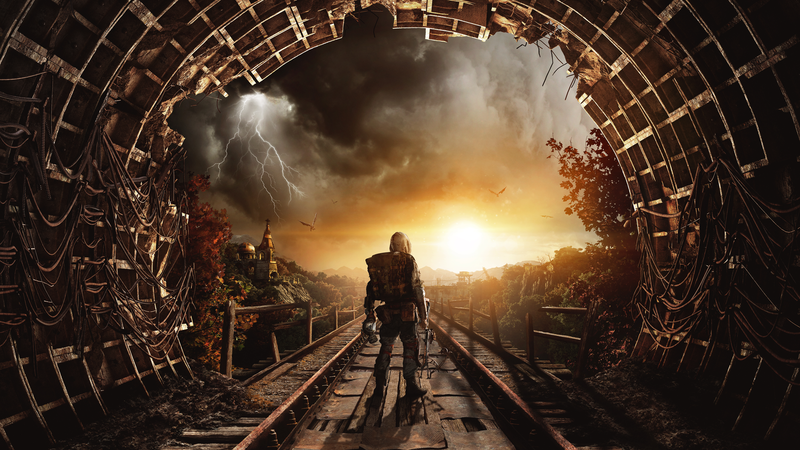 The third game in the series from 4A Games keeps the blend of survival horror and first person shooting for Metro Exodus. This isn’t an open world game, but it’s instead a linear game with a single player narrative, that lets you explore some smaller sandbox areas around post-apocalyptic Russia. Speaking of the setting, you’ll be coming up against both hostile humans, and mutated animals alike in Metro Exodus. Weapons are made up of scavenged parts from around the devastated Russia, and the game employs a full crafting system to really hone in on the survival horror mechanics. In the early days of January 2019, we got the chance to go hands-on with a brand new section of Metro Exodus, located in the Caspian Desert region of the game. This had never been seen before, and also featured the debut of vehicles in the Metro series, a first for 4A games. We ultimately came away pretty impressed with what we played of the Caspian Desert region, but not for the reasons you might think. To read our full thoughts on the extensive gameplay demo, head over to our full Metro Exodus preview. Will Metro Exodus Have Multiple Endings? Previously in the Metro series, both 2033 and Last Light featured multiple endings, with only one of these endings for each game being counted as the 'canon' ending moving forward. But when we spoke to Metro author and co-writer Dmitry Glukhovsky recently, all he would say about the third game featuring multiple endings was "This is gonna be not one ending. That’s the most diplomatic answer I can give you." So, will Metro Exodus feature multiple endings? It's hard to say based on Glukhovsky's answer, but keeping the history of the series in mind, we wouldn't be surprised to see a return of the multiple endings for the third game. Not too long ago, our sister site Digital Foundry got the chance to really put Metro Exodus under the microscope. As you can see in the video below, Digital Foundry rain praise on the new engine 4A Games, which is designed without having to incorporate older consoles like the Xbox 360, and so Metro Exodus can successfully run at a native 4K, but only on the Xbox One X and PC. To round things off, why not head over to our sister site VG247, who recently did a cracking interview with Dmitry Glukhovsky, the writer of the novels that the Metro game series is based on. For a look at all of the other confirmed games for 2019, be sure to head over to our 2019 Game Releases Guide. You'll find a regularly updated list of 2019 games, sorted by release date, and by platform.